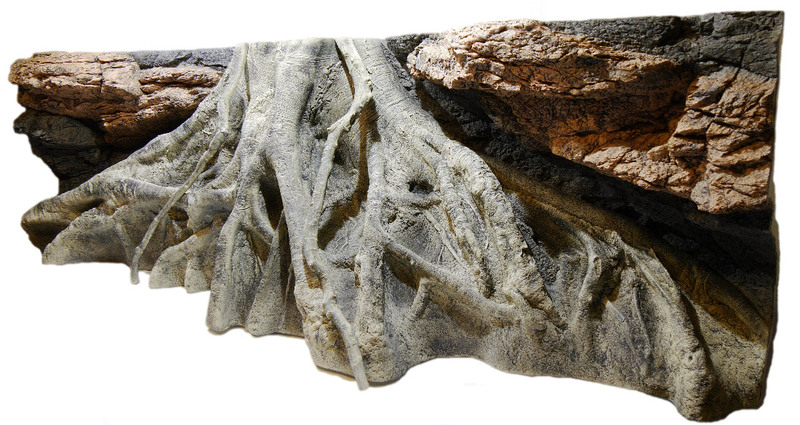 The new Amazonas XL aquarium background is a super realistic combination of roots, lianes and the snag with 3D rocks which is perfect for Amazon rainforest biotope and larger tanks. Amazonas backgrounds are the most popular decorations in the world. The combination of the snag and the rocks is very expressive. Amazonas XL is the decoration primarily for larger luxurious aquarium tanks. The 3D root in Amazon style will bring the impressive volume to the tank especially with discus.